In 2011, Christine McCombe composed Epic for the Australian Chamber Choir (Click below to view). Following the success of this work in concerts in Melbourne, Wangaratta, Albury and Wagga Wagga, Christine was engaged as composer in Residence for 2013. Christine wrote Lexicon of Dreams for the ACC, which functioned as a keystone in the choir’s Bridge of Dreams program, performed in Melbourne, Castlemaine, Canberra, Bowral, Sydney and in 15 concerts in Germany, Denmark and Poland. Click here to read more about composers mentored by Douglas Lawrence. 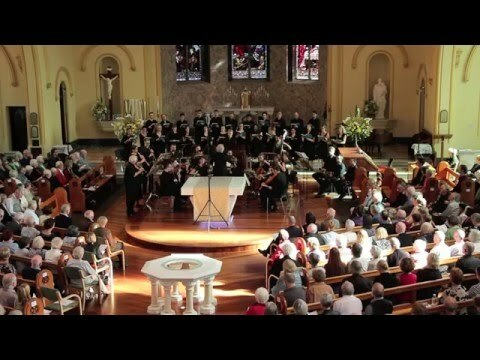 This performance of Bach’s Mass in B Minor took place at the church of Our Lady of Mount Carmel in Middle Park in April 2016. Australian Chamber Choir, Melbourne Baroque Orchestra, directed by Douglas Lawrence. Presented with the support of the Margaret Lawrence Bequest and the Robert Salzer Foundation. This movie was used as a FaceBook advertisement for the Australian Chamber Choir’s 2017 season. The soundtrack is Handel’s Zadok the Priest, recorded live at a performance entitled Chapel Royal, which took place at the church of Our Lady of Mount Carmel in Middle Park in November 2015. Australian Chamber Choir, Melbourne Baroque Orchestra, directed by Douglas Lawrence. Presented with the support of the Robert Salzer Foundation. 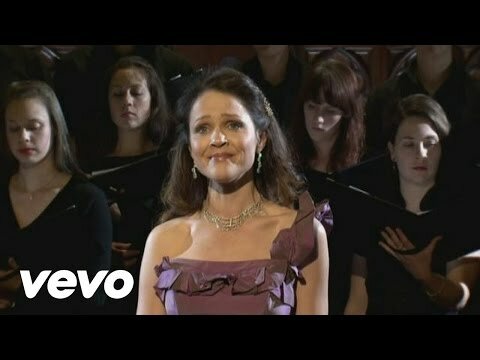 This version of Schütz’s Saul was filmed by Neil Lawrence at a concert in 2011. In our concert on June 1 and 8, 2014, we will perform this work with an accompaniment of sackbuts and curtals instead of the strings heard in this performance. Filmed by Elizabeth Anderson in the Market Square of Wroclaw (Poland’s Capital City of Culture for 2016), with the old Wroclaw Town Hall in the background. After our concert in Poland’s 20th Non Sola Scripta International Festival (also known as the Wroclaw Organ Summer) on July 14, 2013, some of us headed to a restaurant on the Market Square for dinner. Michael Petruccelli joined this group of gypsy musicians for a special version of “O sole mio”. Filmed at Our Lady of Mount Carmel by Neil Lawrence on October 23, 2011. Uploaded on October 19, 2013.